No matter your body shape or skin tone, no matter how much you diet or exercise, our bodies produce less and less new collagen as we age. Collagen is a durable protein which accounts for one-third of all proteins in your body and is most commonly found in the skin and connective tissue providing structure, strength, and elasticity – all of which are important components of healthy and beautiful skin. We see the effects of this decline in collagen as our skin looses elasticity, wrinkles and fine lines develop, and it becomes harder to lose certain pockets of fat. There are many creams and powders, which contain collagen and claim to revitalize the skin. However, the collagen molecule is too large to be absorbed directly through the skin, so though these products may work well as temporary moisturizers, but they do not do anything to strengthen the collagen structures already in your body. The Venus Legacy™ system, however, does just that. The Venus Legacy is the first and only FDA cleared device to utilize 4D® technology, combining multi-polar radio frequency (RF), pulsed electro magnetic fields (PEMF) and VariPulse™ technologies with real time thermal feedback. Venus Legacy is one of Hollywood’s latest secrets to look younger. At forty-two, red carpet actress Sofia Vergara uses it to achieve a flawless look no matter what her attire, from bikini clad magazine covers to Emmy-worthy gowns. Multipolar radio frequency and magnetic pulse therapy produce a dense, warm, uniform matrix which stimulates the collagen in the middle layer of your skin and encourages new structures to form. As these structures grow, they provide a support system for healthy new cells to grow on and make your skin tighter and more elastic. This can lead to tighter, more defined skin on almost any area of the body. VariPulse™ technology also increases blood circulation in the skin to give it a healthy glow. Radio frequency and magnetic pulse therapy have been used in medicine for many years and are proven, safe, and effective technologies. The warm, massage-like treatments last approximately thirty to forty minutes depending on the area of the body, and are always non-invasive and pain-free. After getting comfortable on the treatment bed, a technician will apply a warm gel to the skin which helps the applicator glide smoothly on the surface of the skin. The correct size applicator is selected and the treatment provider will then begin to apply smooth and consistent movements on the surface of the skin. Patients are encouraged to close their eyes and take this time to relax and enjoy the quiet time just for them. The treated skin will feel warm and retain a healthy glow for about an hour after the treatment is complete. Most patients see a result in as little as three treatments. However, we advise a full series of six treatments for the face and eight to ten treatments on the body to obtain optimal results. Dr. Jeanette Coutin-Gentry creates a relaxing experience at Fontaine de Jeunesse Medical & Dental Aesthetics Spa. In an unassuming Georgetown Pike plaza is a spa-like experience promising to tighten clients up without a nip and tuck. Fontaine de Jeunesse Medical & Dental Aesthetics Spa, a self-proclaimed fountain of youth in the heart of Great Falls, has been noninvasively treating men and women of all ages since last summer. Fontaine de Jeunesse translates to “fountain of youth” in French. 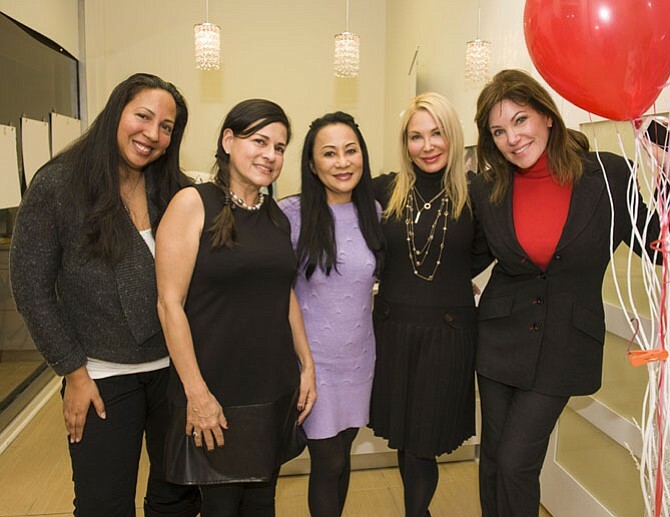 The owner, Dr. Jeanette Coutin-Gentry, started the business as a way to help other women age gracefully through menopause without being self-conscious. “I found out that diet and exercise alone was not taking care of losing the weight,” she said. After some research, she learned about Venus Freeze, a device that tightens sagging and wrinkled skin, reduces cellulite and contours the body without plastic surgery. The secret to the procedure is multipolar radiofrequency and magnetic fields that pulse into the skin to create collagen. The procedure, which can take between 20 minutes and a few hours depending on the parts of the body being treated, can be done between running errands or during a lunch break because of its noninvasive nature. A television mounted on the wall plays a beach scene with waves lapping on the shore while the treatment is being done. 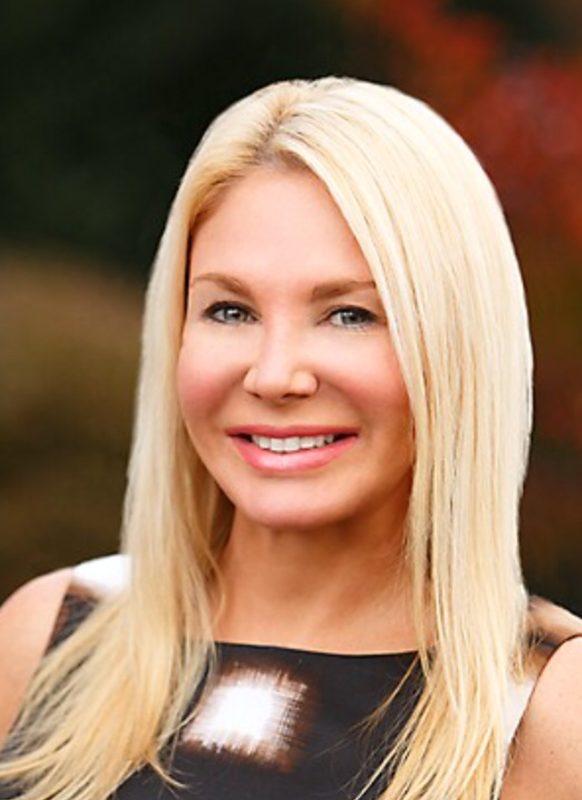 The Venus Freeze yields results without having the client take downtime like they would with plastic surgery, according to Jean Gallina, registered nurse. “A lot of people are so busy that they cannot take the time to do something invasive – or they don’t want to have that type of procedure,” she said. Tracey Kennedy, Hayfield, has had five treatments on her neck and thighs. She found Coutin-Gentry’s business after searching for a clinic that had both the Venus Freeze and friendly estheticians. Kennedy said the option is cheaper than plastic surgery and took no downtime to heal. Pat Alden, registered nurse, says both men and women come to get work done. She said many men get their faces and necks treated while women tend to focus on their thighs. Her own husband had his hands treated to alleviate his arthritis pain. The location was chosen because Coutin-Gentry thought Great Falls and McLean residents would not want to travel to traffic-congested Tysons Corner to do this type of procedure. Other treatments include teeth whitening and Invisalign. The SkinCeuticals skincare line is sold on-site. 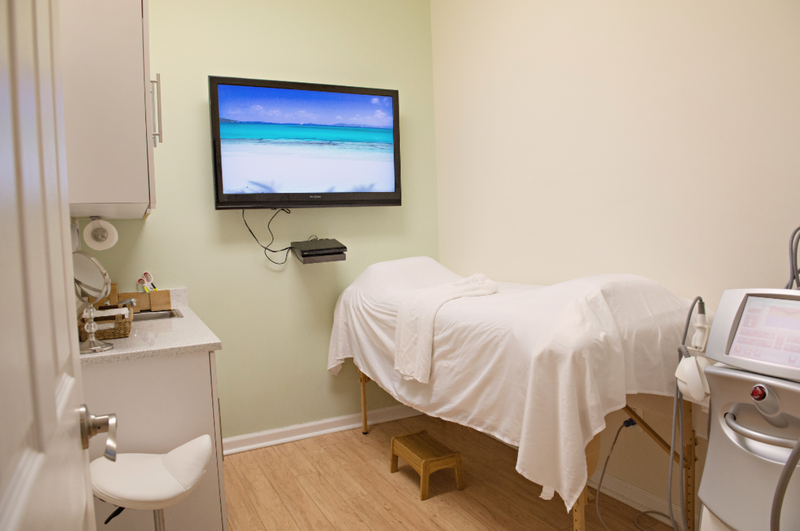 Fontaine de Jeunesse Medical & Dental Aesthetics Spa is located at 9889 Georgetown Pike, Suite 18, Great Falls. It is open by appointment seven days a week. To contact, call 703-677-8700.